Walking the stage at graduation is a common goal for Tarrant County College students. 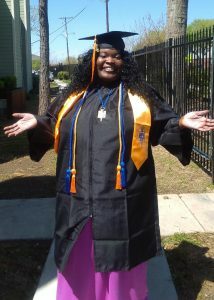 But for Minika Tharpe, it wasn’t just about reaching graduation; she wanted to walk—literally. Tharpe’s TCC story began in 1991, when she enrolled following high school graduation. Her father passed away the same year. After the stress and sadness became too much for her to bear, Tharpe left school. Both her depression and the medication she took to treat it caused her to eat more than necessary, and her weight reached dangerously high levels. She suffered her first major heart attack in 2012, and doctors diagnosed her with congestive heart failure. Tharpe didn’t just struggle emotionally and physically; without a college education, she struggled financially. She knew she needed to return to school. Despite dealing with health issues, she decided to enroll at TCC Trinity River in spring 2013. This time, she took advantage of the resources and people on campus to help her stay on track. Shelton became a guiding force in Tharpe’s life. Tharpe also became involved in campus life, joining student government and earning a spot in Phi Theta Kappa honor society. Tharpe needed an operation to remove an ovarian cyst. But the doctor would not proceed because her weight made the procedure too risky. As she worked toward her associate degree in sociology, Tharpe tried to lose weight. Instead she gained. Late that year, the cyst on her ovary began to cause bleeding, forcing doctors to perform an emergency procedure to save her life. But she was still in danger. Tharpe’s doctor told her very simply that if she didn’t change, she would die. He also offered hope. If Tharpe could lose 40 pounds, she would qualify for a gastric vertical sleeve procedure that would help her consume less food. “He said, ‘I’ll do the surgery on you if you make a promise that you really want to lose the weight,’” said Tharpe. This time, she committed to change and managed to lose enough weight to safely undergo the gastric procedure. She came off the table another 40 pounds lighter but with stronger willpower. As the weight began to come off, Tharpe reached an important milestone: commencement. 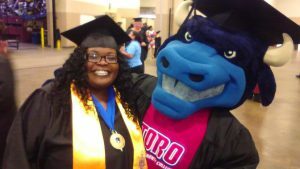 During the ceremony, she achieved two objectives: she earned her associate degree, and she walked. Carter Bedford, director of Student Development Services at TCC Trinity River, met Tharpe through her involvement on campus. He says Tharpe never let her past dictate her present or her future. Tharpe says she didn’t succeed on her own—and that Bedford, like Shelton and others at TCC, helped her stay focused on her goals. Tharpe also didn’t give up when she discovered that her chosen profession, social work, was not what she ultimately wanted. 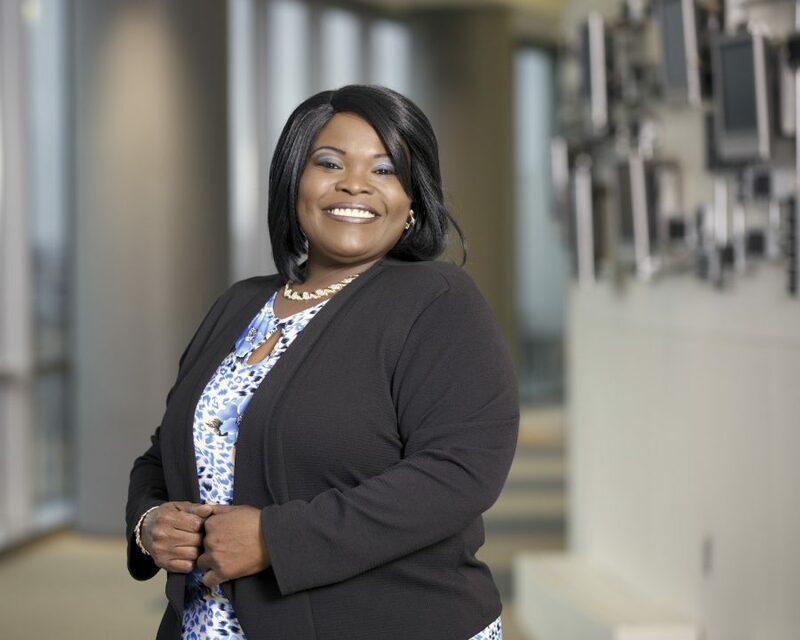 So Tharpe set her sights on another associate degree, this one in entrepreneurship and small business management. She will graduate from TCC for the second time this May, then transfer to West Texas A&M University to earn a bachelor’s degree with a specialization in human resources management. Today, Tharpe is more than 200 pounds lighter, and she continues to lose weight. She eventually wants to work with obese teenagers and help them find hope in their situation. She counsels other students who are struggling to get involved on campus. TCC helped Tharpe see herself in a different light. To find out how to get involved on campus, visit the Student Life webpage.